The good news about addiction is that with the right knowledge and treatment, many addicts can, and do, recover quite quickly. This popular online course explains the key information you need to know to tackle addiction successfully. As a result, thousands of addicts have already been helped to overcome their particular addiction. As well as exploring these new insights and their relevance to successful treatment, this course gives you an essential overview of a wide variety of addictive behaviours, including what they have in common, why we are all vulnerable to addiction, and what the genuine causes and drivers of addictive behaviours are. It also explains the most successful ways to rapidly break addictive patterns and how to prevent, or at least minimise, relapses, using psychotherapy informed by these latest neuroscientific findings. So — whether it's for professional or personal reasons — taking this online course on overcoming addictions could prove invaluable to you. The facts about the rise in addictive behaviours including: cocaine, heroin, alcohol, cigarettes, eating disorders, shopping, gambling etc. The disease model versus the social learning model of addictive behaviour. The good news about addictive behaviour – why many addicts can, and do, recover quickly. Typical addictive beliefs and how to change them. The importance of motivational interviewing and how to do it. The addictive trance model and how to separate a person's core identity from the addictive state. How to combat abstinence anxiety. How to use our natural human abilities and the power of imagination to break free from addictive states. How to make a difference straight away. Specific focus on the addictive elements within eating disorders (anorexia, bulimia, compulsive eating) and how to effectively combat them. If you want to know about more effective ways to treat addictive behaviour ‒ whether for professional or personal reasons ‒ this course is for you. 'Tackling Addiction' is based on our one-day seminar of the same name. This online version is split into 4 modules, each of which are broken down further into different sections containing filmed lectures given in English by the tutor, Joe Griffin. 'Tackling Addiction' is also a required module of Part 1 of the Human Givens Diploma, so by successfully completing this online course you will also have completed a part of this highly respected qualification. I have found the addiction online course and practical day one of the most interesting parts of Human givens in part 1. It makes so much sense and seems so possible to help someone with the various psychological angles which are part of the human givens approach. I very much enjoyed this course how it was set out it was very clear and gave me so much extra knowledge and much more confidence to tackle addictions , after this course and applying the knowledge and skills , I have had great success with clients , i will certainly be signing up for the other courses. Hi I really enjoyed the course and hope to do many more online courses as this can be done at times that suit me. Loved the irish accent and the way it was delivered. I found this seminar to be very informative and thorough. I especially liked the examples given and specific strategies shared. Excellent - one of the most useful courses I've ever done! The HG approach to working with addiction is applicable to so many problems. I work with eating disorders, and have already found the material really useful in my work. I have now booked the in-person workshop to bring my practical skills up to scratch too. Another great HG course taught with humour, intelligence and clarity. As a trainee psychotherapist I have found all the courses attended thus far very useful, this one in particular as it has helped me pull together all I have learnt from classic psychology and hypnosis to help my future clients. Thank you. I very much enjoyed the online module. It was presented in a most engaging way. The explanations were clear and well-supported with examples and metaphor. It would be very helpful for many people who are fixed unhelpfully in one way of thinking about addiction and troublesome habits of behaviour or thinking. Having done this module, I feel motivated to take another - hopefully not an addictive response! ;) I would find it very helpful to have a transcript, or at least subtitles, to follow it more easily. I thoroughly enjoyed this online class. The material is well-paced and very easy to follow. Joe is so easy to listen to. An easy to follow and well presented on-line learning course which I'd recommend to anyone who may have contact with individuals suffering from an addiction. Good course. Found it a little difficult to navigate around it when wanting to review different bits. Perhaps I never found something that was obvious. Was there a way of getting the overall page up to see which bit I wanted? HG COLLEGE: Yes if you navigate via the menu you should be able to scroll through to find any film clips or questions you want to review again. A must do module for anyone wanting to learn about addiction, either for yourself or to help others! This was an incredibly insightful module clearly explaining the way the body works in terms of addiction. I found it very useful, and would love to see Joe record a cd for this as they have for other modules.... I find I can use this to reinforce these ideas, but can easily incorporate a cd into my life rather then reading a book (which I would also do!) but for Hebbian learning purposes listening to a cd while doing other tasks can be beneficial :) A must do module for anyone wanting to learn about addiction, either for yourself or to help others! I have always liked Humsn Givens as it's logical and easy to understand . I work in a detox clinic. This module will help me with group work that patients attend every day. The psychobiological brain analogy is brilliant and will really help when working with clients. Interesting up-to-date well delivered with enough new information to keep me interested. I think that the information re memory will help me in my practice considerably. I really enjoyed this course and the information given on it. But the section on 'the brain' was not as clear as it could have been because the diagram on the white board was not clear on the video, I was very interested that there were two amygdalae etc but could not see it in picture form. The rest of the course is excellent and has helped me explain addiction to a client I am seeing who now tells people she is teetotal, the information I got from this course was instrumental to her understanding of why she may not be able to drink alcohol again, her decision not mine. Thank you Joan Anderton HG COLLEGE replies: Thank you for your valuable feedback, we will look into this and see if we can add additional material to improve it - there is also a diagram in the accompanying notes. This course was the best course/training/lecture etc on addiction I have had...by some margin. Thank you. Excellent course. Many lightbulb moments as I have dealt with my own addictions. Feel confident to overcome the triggers by changing my environment and so happy and confident that as I move forward I will be able to help others overcome their addictions. Joe is such an inspirational speaker. Clear speaking with a great sense of humour. 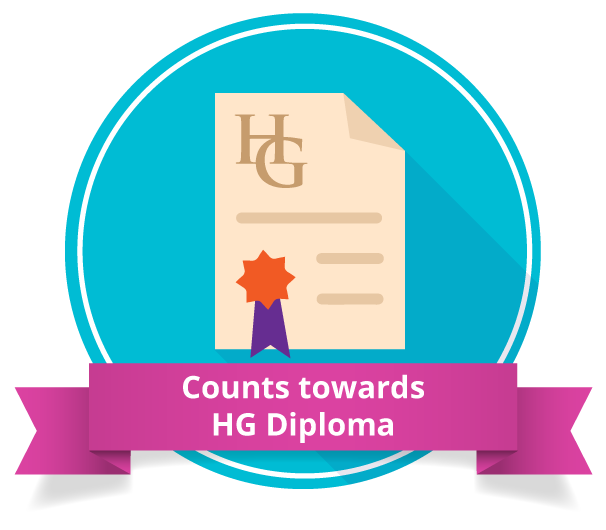 Eager to start my next online course in the weeks to come towards the Human Givens Diploma. Thank you Joe. The Human Givens model talks to me and makes sense. Wish I had known about it 20 years ago! This was very good, informative and not too technical. Very clear and useful. Lots of vitally important ideas about how to think about addiction in new ways, such that recovery is more likely. Definitely recommend this course. Why people get addicted never really made sense before, this made it very clear and gives huge hope for recovery. I have always thought the subject to be very complicated, but this course provided a common-sense approach and clarified many aspects for me about what addiction is really about. Lots of new information I'm going to do the skills workshop next. Thank you.